Hi y'all! I missed you. I hate that you've been posting on your blogs/facebook and I've been missing out. I'll see what I can do about catching up with you in the next few days. In the meantime, here are a few pics of our space at the show at Zapp Hall. And that's all I've got for now. More pics and some Who's Who among Great Shoppers coming soon. Everyone loved your space and had such great things to say about your first time out. Glad you're back, missed ya! Ugh! How did I miss out on those chairs! You had a great booth Mindy! Looks like I will have to hit yours up first thing when I get there next time so I don't miss out! Mindy, glad you and David made it home safely. I know you are wiped out. Also, so happy to hear you were pleased with your show. 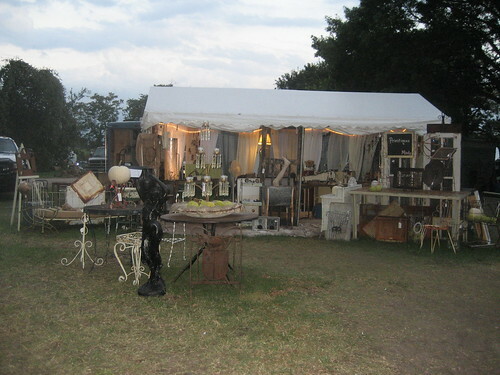 Your booth looked so cute!! Take it easy and get some much deserved rest. Would you believe we passed y'all on 30 as you were heading towards Rockwall? We had just left my son's from picking up Jakie! Cat Daddy doesn't miss a thing rolling down the highway! Welcome home! I looked at most of your flickr pics, lots of "new" beautiful stuff you must've put out after we came by on the 26th. 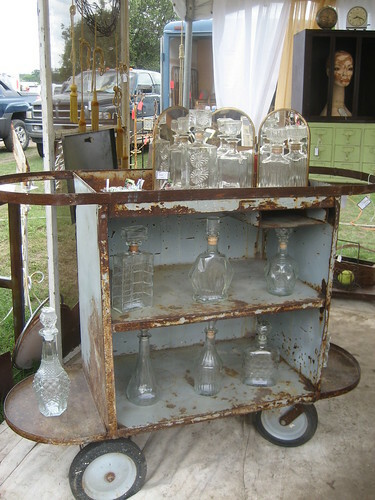 I'm still wishing I'd bought the serving cart and the iron day bed. Maybe when I come up to see y'all at W&T some of my fave stuff will still be there *fingers crossed*! The leg sticking out of the tub still makes me smile! I sure enjoyed all that extra time with you, love! And it was great meeting old and new friends! I think we did pretty darn good for first-timers! MINDY! I am so very glad you're back! I missed you. Sounds like you and Dave had a wonderful showing! I'm sure you have wonderful stories (maybe some to share?) and great picatures! Rst and can't ait to see them! Mindy, you and David were fantastic - I so loved meeting you! 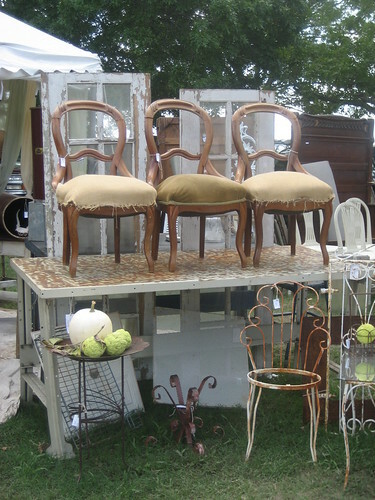 And of course loved all of the "Vintage Cool" stuff in your fabulous booth. You will be back in the spring, won't you? Somehow, I've got to get myself back there because I am now completely hooked. p.s. 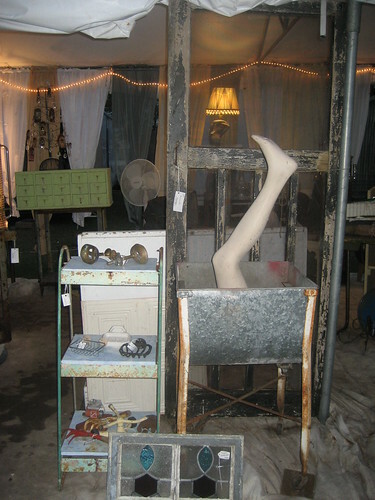 I hope we won't be seeing any photos of a sweaty and wilted Canadian at the flea market on your blog anytime soon. It was so nice to meet you both. It looks like I missed some very good stuff, but I did get some great pieces from you. Thanks so much!